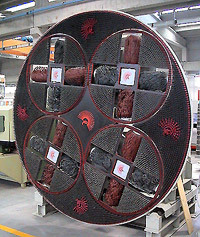 QuickWoods larger volume customers spray and de-nibb vertically, so QuickWood have successfully developed a range of vertical machines to go in to existing lines. 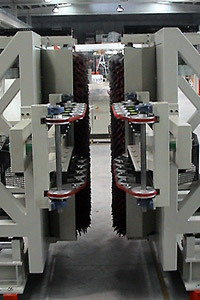 The QVRO 2800 is a rotary brush machine suitable for profiles panels and frames. The D2 Vertical is for basic and flat panels and frames. There is a full range of these machines with a whole host of optional extras, so please call us to discuss your requirements, or for a demonstration. Download the QVRO 2800 / RO V 2600 / QDV2 / QDH2 brochure in pdf format.